How do you classify soil for disposal…? 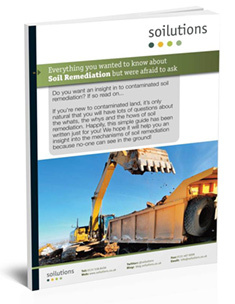 It is important to understand that the investigation and remediation of contaminated land is risk based, taking into consideration factors such as the source of the contamination, receptors, site end use, etc, whereas the assessment of contaminated soil for off site removal is hazard based. The hazard based assessment determines whether a waste contains substances with properties that are at concentrations that make them harmful to human health or the environment. The Hazardous Waste Directive (HWD) (Council Directive 91/689/EC) is the regulatory framework for this assessment process. It defines a Hazardous Waste as a waste because it possesses one or more of the hazardous properties, as set out in the HWD, Annex III, Table 2.1. Hence, when a soil has substances within it containing substances exceeding specific thresholds it is classified as being of a Hazardous nature and when not, by default, it is classified as Non-Hazardous. Sufficient information to support the assessment and demonstrate that the waste has no hazardous properties must be made available for a waste to be classified as Non-Hazardous. The process of assessment and subsequent classification can be broken down into several steps and our guide, Everything you wanted to know about Waste Soil Classification but were afraid to ask will be free to download very soon…watch this space.